Credit: PACE. Download this image (JPG, 1.5 MB). 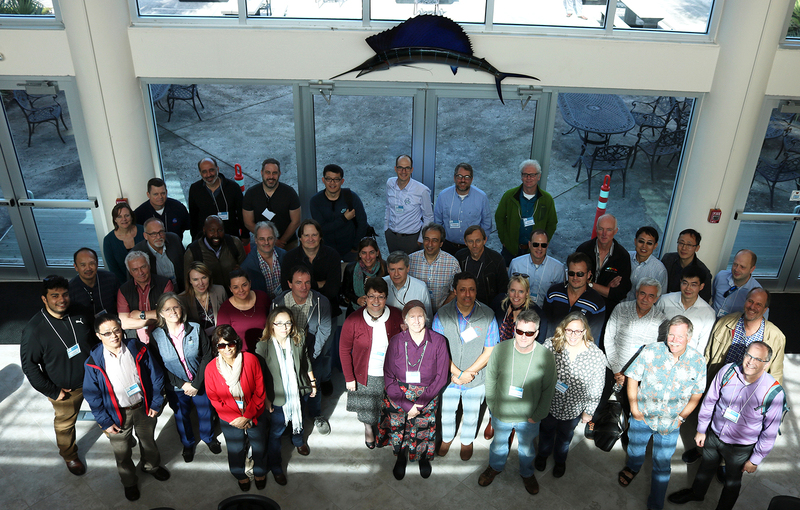 [20-Feb-18] Members of the PACE Science Team pose for a photo at the 2018 Science Team Meeting, held at the Harbor Branch Oceanographic Institute in Fort Pierce, FL. The meeting focused on PACE Science Team deliverables, plans for polarimeters, the engineering challenges of PACE and the results from Cal/Val concepts. To view presentations from this meeting, click here.